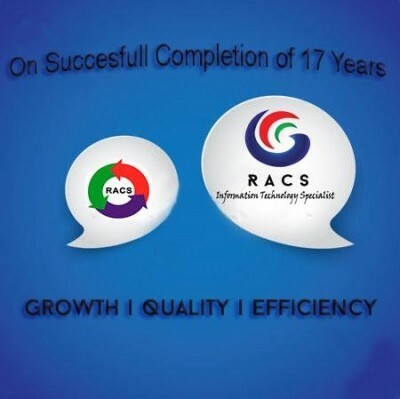 Happy B’day R A Consulting Services – RACS for Completing 17yr with a constant Growth and Achievement. RACS is committed to provide best of class systems and services effectively and efficiently, while maximizing the satisfaction of our customers and employees and assuring continuous improvement. We develop for our customers with the support of our partners and customers.